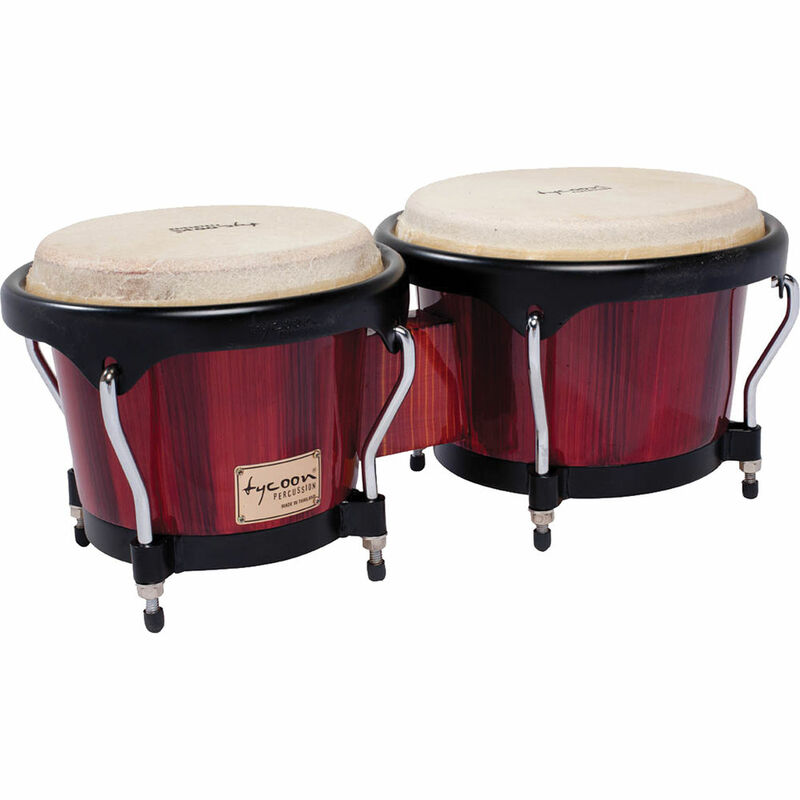 The hand-painted red 7" & 8.5" Artist Series Bongo Set from Tycoon Percussion is designed for the working percussionist. The 7" & 8.5" set of attached bongos are constructed of durable Siam Oak wood, and a high-gloss hand-painted red finish is applied. The drums feature black powder-coated Deluxe hoops and large 5/16" diameter lugs. The water buffalo skin heads are designed to produce crisp tones and response. This set includes a tuning wrench. Matching congas and djembes are available (sold separately). Box Dimensions (LxWxH) 19.0 x 10.75 x 8.25"